Simone Marchi, a SwRI researcher with SSERVI’s Institute for the Science of Exploration Targets (PI Bottke), has been awarded the 2017 Paolo Farinella prize. Congratulations to Simone from all of us at SSERVI! The 7th Paolo Farinella Prize in 2017 was devoted to planetary sciences and specifically to studies on the “Physics and dynamics of the inner planets of the solar system and their satellites.” The prize consists of a plate, a certificate and a cash prize in the amount of 1500 €. Simone Marchi will give a Prize lecture at the “EPSC awards special session” hosted by the European Planetary Science Congress (EPSC) meeting in Riga, Latvia, September 17th-22nd, 2017. Paolo Farinella (1953-2000) was an extraordinary scientist and person. To honor his memory a prize was established in recognition of significant contributions given in the fields of interest of Paolo, which span from planetary sciences to space geodesy, fundamental physics, science popularization, security in space, weapons control and disarmament. The prize was first proposed during the “International Workshop on Paolo Farinella, the scientist and the man,” held in Pisa in 2010, and is supported by the following Italian Institutions: University of Pisa, ASI, INAF, IFAC-CNR. 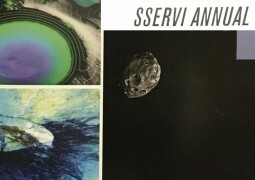 The winner was selected by the “Paolo Farinella” Prize Committee composed of outstanding scientists in planetary sciences, with specific experience in the field. Nominees for the “Paolo Farinella” Prize were considered on the basis of overall research results in the field of “Physics and dynamics of the inner planets of the solar system and their satellites,” with international and interdisciplinary collaborations, and not older than 47 years— the age of Paolo when he passed away. 2016: Kleomenis Tsiganis, for his contribution to the field of “Applications of celestial mechanics to the natural bodies of our solar system”.